German Propaganda was going into overdrive as Britain prepared for invasion. Despite it not being a busy news day, in the middle of Summer and one of the hottest days of the year in Washington, news for the rest of the world on this July 31st, 1941 was nervous. Reports of civilians being trained to fight against German paratroopers in the anticipated invasion of Britain were passed off as nonsense in London. 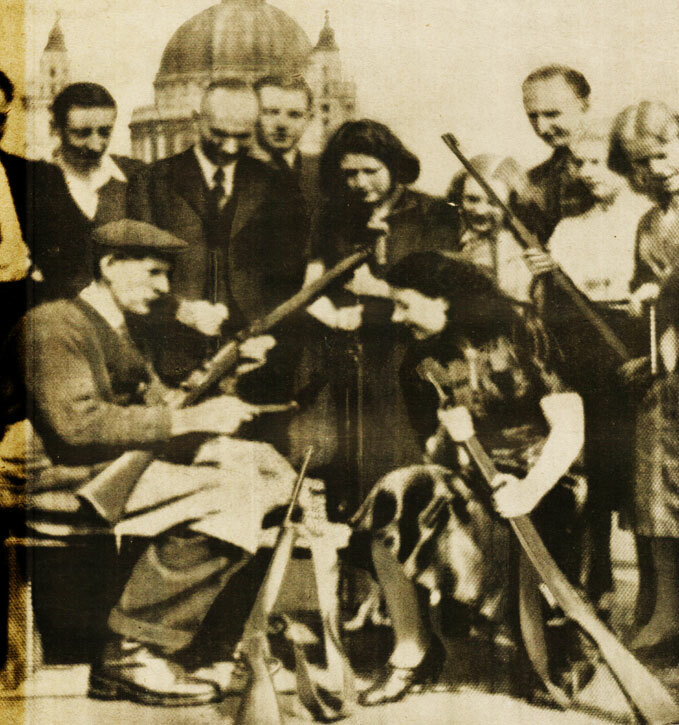 However, German propaganda was going into overdrive, with German newspapers awash with photos of Seniors, women and children being trained in rifle use and observation in anticipation of the onslaught of German invaders on English shores which, as it was reported, was in its final stages of preparation. The war of nerves was continuing, with German raiders attacking various British cities and towns, but not dropping the number of bombs as was accustomed and the amount of damage not up to the usual. Still, enough for another sleepless night. The British Embassy in London protested the Japanese detainment of 11 civilians arrested in Tokyo on suspected spy charges. For their part, the Japanese government replied it wasn’t in their Foreign Office‘s power to release the British subjects, since it was a civil matter. While the broadcast was taking place however, two of the civilians were released. News of the British blockade of shipping from hostile nations brought some protest because one of those nations on the list was France. Now that France had surrendered and become occupied by Germany, it was now considered to be an aggressor nation – even though the French people had little say in the matter. It was hoped everyone would understand, but . . . there was a war on. Berlin wasn’t saying much, aside from saying Japan was getting concerned over the U.S. embargo of shipping to that country. They indicated the Japanese were now in desperate need of rubber and other raw materials from the Dutch East Indies, which were now not available because of the blockade. But other than that, all was reportedly quiet. It was speculated that August would be another situation entirely and this was a lull between storms. Meanwhile on Capitol Hill. News was primarily about the heatwave, now its 13th day and judged to be the worst in decades. The only news to be had was from the Senate, who had just approved FDR’s call for mobilization of some 300,000 members of the National Guard and Officers Reserve for a years training. It was anticipated the measures would be approved by Congress by the end of the following week. Not the same for the proposed Conscription Bill which was dropped almost as quickly as it was announced. The feeling against having a peacetime draft was very high and considered a hot potato around Washington and with constituents back home. So all was not so lethargic around the Potomac after all. And that’s some of the news for this July 31st in 1941 (also a Wednesday), as reported by The News Of The World via The NBC Blue Network. From this day on, things were going to be looking a bit different in Paris. 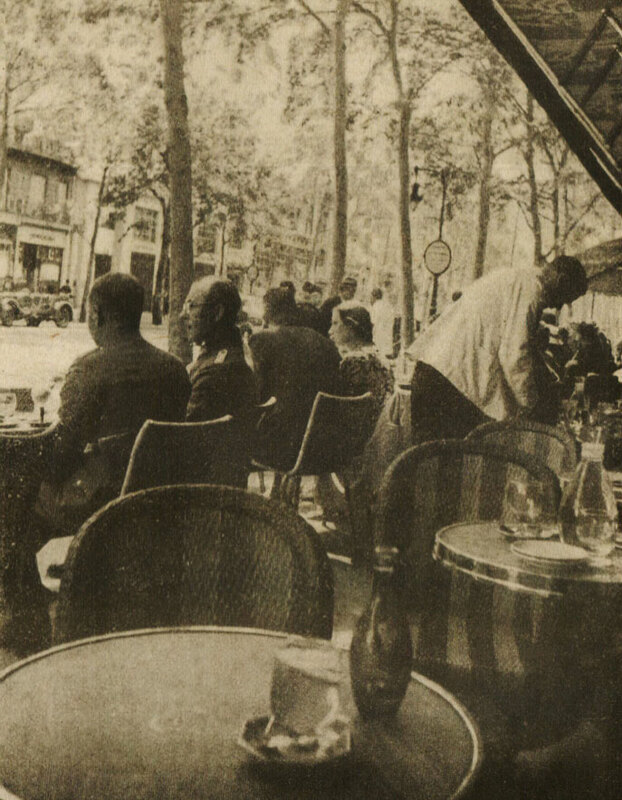 News for this June 20th in 1940 was not the most optimistic, especially if you were around Paris at the time. Word from the government, relocated to Bordeaux, reiterated that the war was over and France had lost and that all armed resistance end. Envoys were sent to negotiate a peace settlement and Germany could add one more conquest to their Blitzkrieg strategy. The only one left was across the channel, and they weren’t planning on giving up anytime soon. 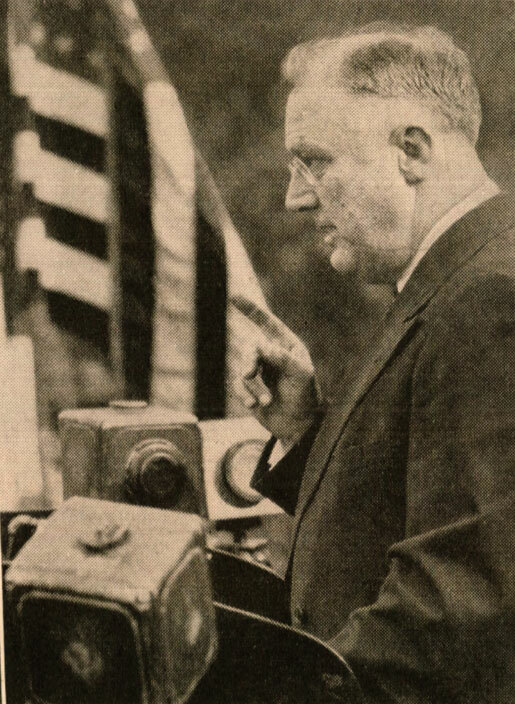 Meanwhile, the news in Washington was the formation of a coalition Cabinet by FDR with the nomination of Henry L. Stimson to be Secretary of War and Col. Frank Knox to be Secretary of the Navy. Both considered to be major developments due to their political nature (both were Republicans who served under Taft and Hoover), but further evidence the U.S. was inevitably inching closer to full involvement in the War. It was also expected to be a major upset in the plans at the upcoming Republican Convention to frame FDR as a War President. All that, and a lot more for this ominous June 20th in 1940 as presented by the NBC Blue Network’s News Of The World.